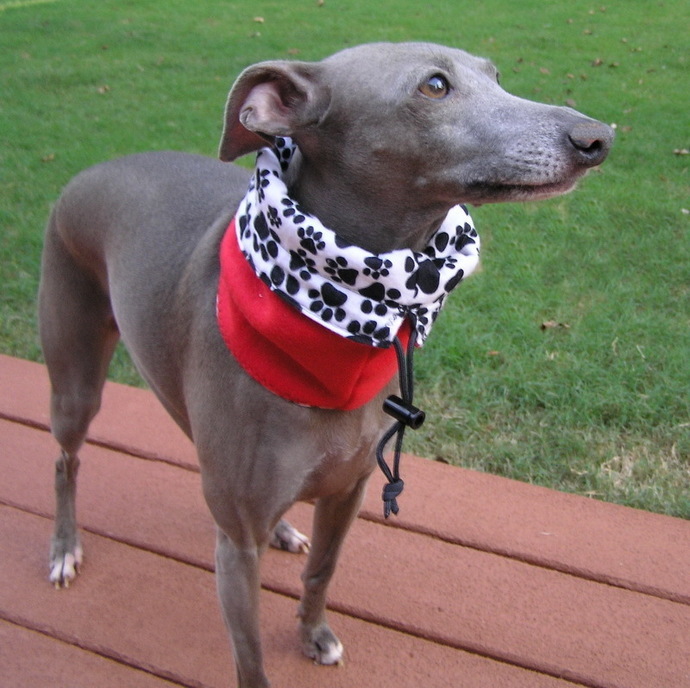 We are now carrying reversible dog snoods. One side is a solid color fleece and the other side is a paw print flannel in black and white. This snood can be used over the ears for maximum coverage from wind and cold or can be folded over to be used as a neck warmer. Either way your pup will look stylish and keep warm. The added drawstring and toggle creates a comfortable closure over your pups ears and face and can be adjusted. Comes with an opening to attach leash when going for walks. 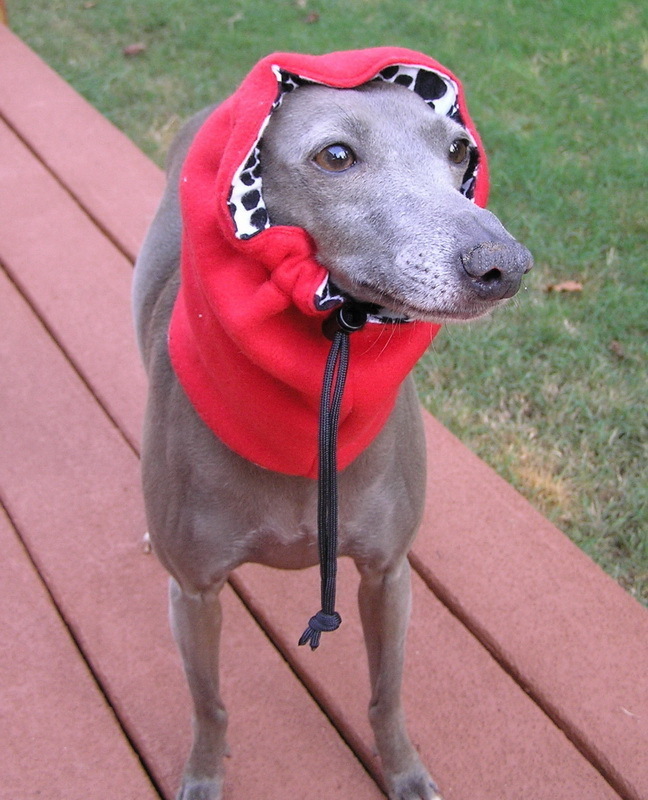 Please note: When measuring your pet for a snood, always add 4" to the neck measurement for a comfortable fit. 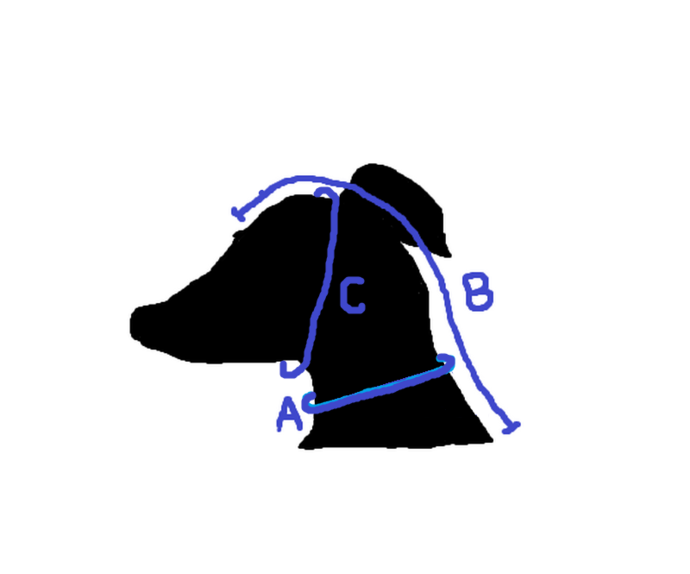 For example, if your dog's neck measures 12" you would need to purchase a snood that is 16" in circumference. If you do not see your size, I can customize it for you. 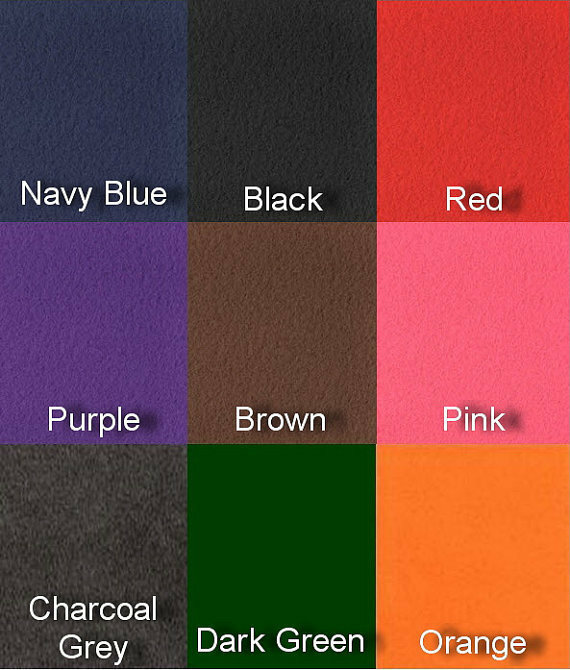 Available colors: Charcoal grey, Pink, Black, Red, Dark Green, Purple, Brown, Navy Blue, and orange. Please choose color from the drop down menu.